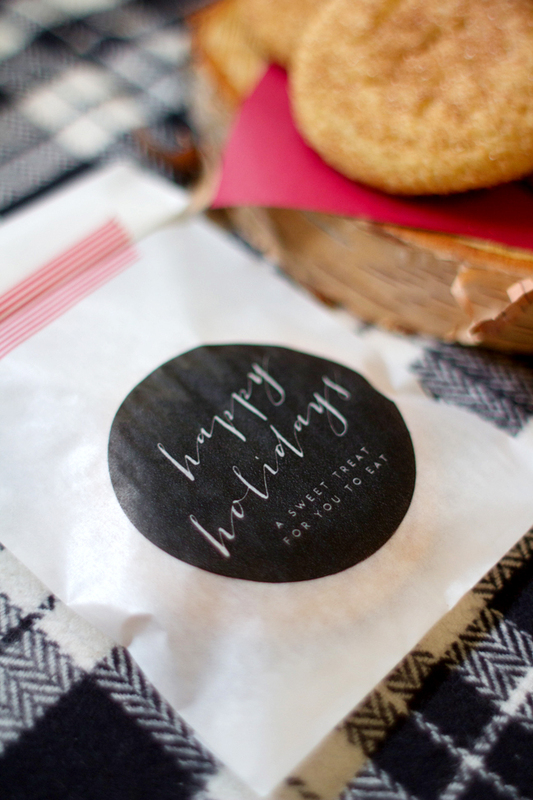 Ohhhh man, one of my favorite things about the holidays is (let’s be real) all of the treats. I know there are folks out there who really try to toe the line and not overindulge in sweets, and I salute them. But during the holidays, I just kind of let it happen. If I want a cookie, I’m gonna have it. And I’m gonna love it. 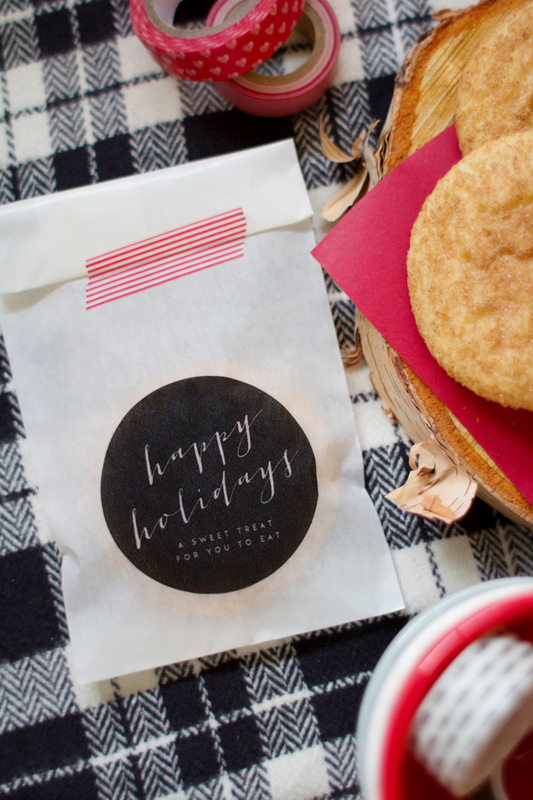 If you have lots of sweets around during the holidays as well, here’s a quick and simple way to share and send home cookies or other goodies with your guests. 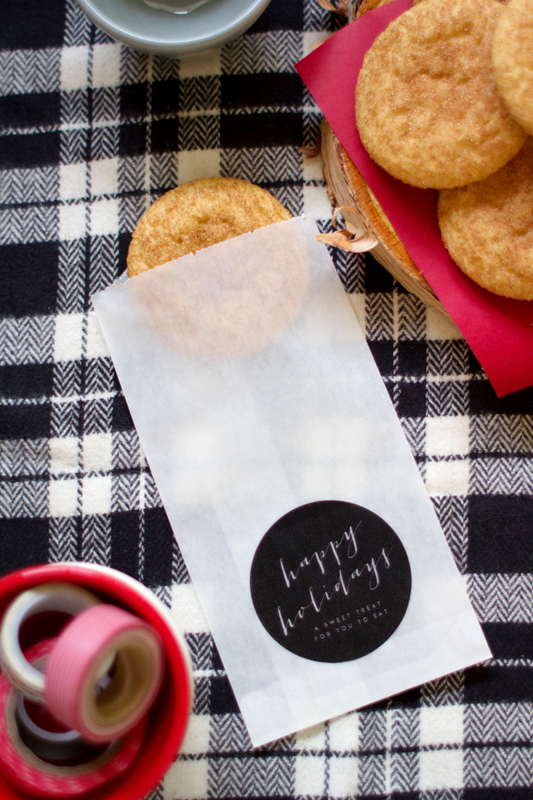 These cookie envelopes are perfect for cookie exchanges, party leftovers, or school functions! Step 1: Download and print the Bag Outline Printable. 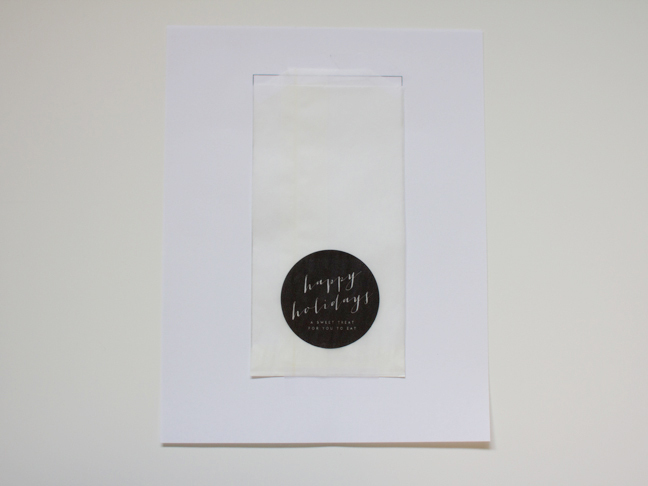 Tape a glassine baggie onto the outline using clear tape that is easily removable. I recommend taping across the entire top of the bag so that as it feeds through the printer it stays nice and flat. Other than that, just a bit of tape on the bottom of the bag should do it. 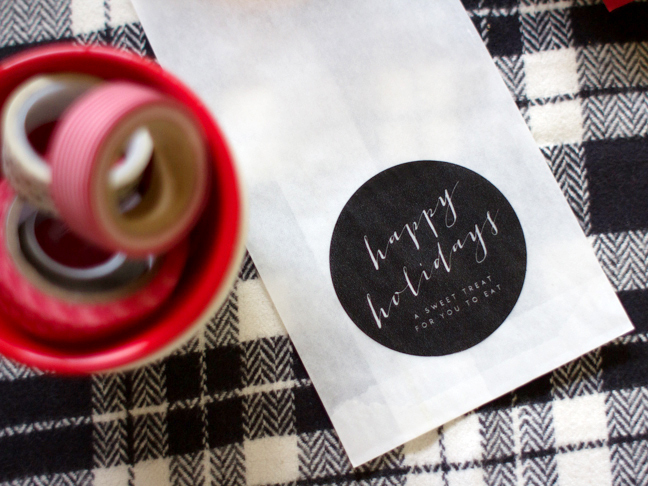 Step 2: Download the Bag Label Printable. 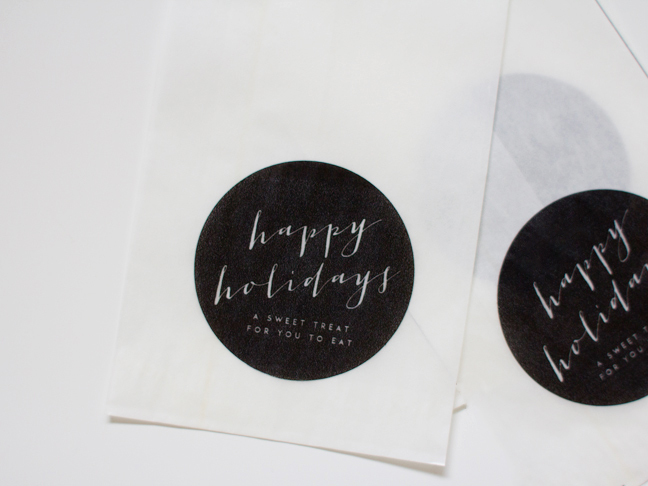 Run the paper with the bag taped to it through your printer as you print the bag label. Step 3: Allow each baggie to thoroughly dry after you print on it. 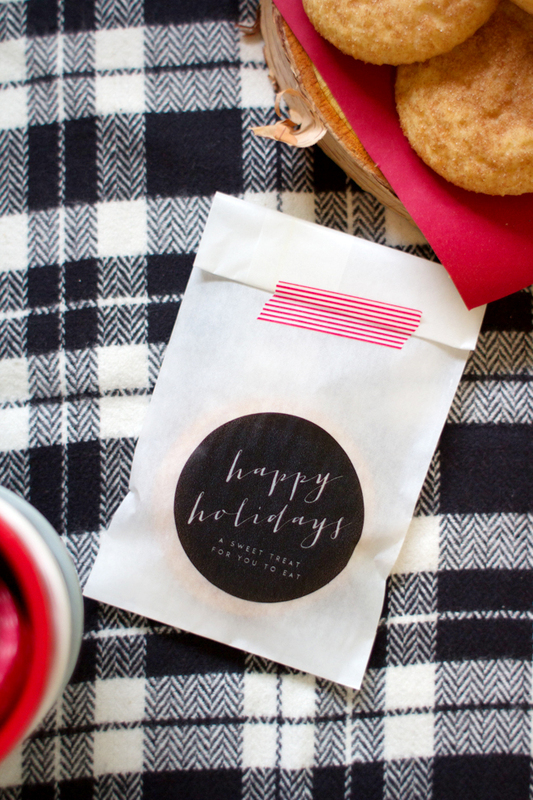 Fill it with treats, fold the top down, and secure with festive washi tape. Send your guests on their way with something sweet to eat!